Some of these you have to see to believe. Martha Stewart is the undisputed queen of your kitchen. She was probably influential in teaching you how to cook. She’ll help you plan your next party. She full of recipe inspirations and she sells everything from dinnerware, to paint brushes and espresso. Now Martha is extending her reach into every aspect of your life, with a new wine shop called the Martha Stewart Wine Co. The collection includes a full range of reds and whites, rosé, sparkling, and even dessert wine. If you really trust Martha’s taste you can join her club, and she’ll send you either eight or twelve bottles every couple months. But not everything she sells in as practical as a much-needed wine shop that includes all her favorites. Here are 6 of the most random things the Martha Stewart brand sells. Hoping to oust Blue Apron as the most in demand food delivery service, last month Martha announced that she would be partnering with AmazonFresh to deliver her own line of home cooking kits -- which come with recipe cards and pre-portioned ingredients -- called Martha & Marley Spoon, coming one step closer to literally cooking dinner for you in your own kitchen. Originally popping up in a Macy's and expanding to more locations nationwide, Stewart says the idea to open cafés was always a dream of hers. "Inspired by the wonderful coffee shops I’ve visited all around the world, it’s a place where I can share my favorite handcrafted coffees, teas, and bakery treats with customers who will enjoy them as I do." 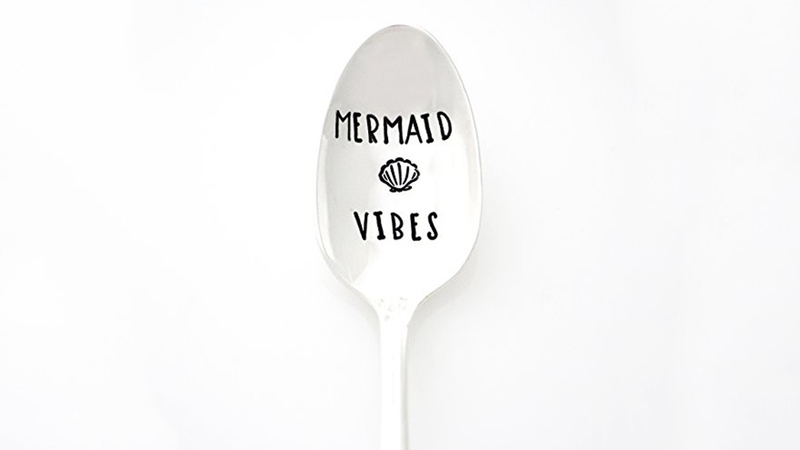 This line of spoons by Milk & Honey isn't technically part of Martha's brand, but they are members of her American Made shop. She's clearly trying to capitalize on mythical creature themed food that is taking over the world, including Mermaid Toast. Christmas decorations can get competitive and contentious. Have you ever driven down one of those streets in a fancy neighborhood, where each house is trying to one-up the house before it with inflatable reindeer and fake snow? 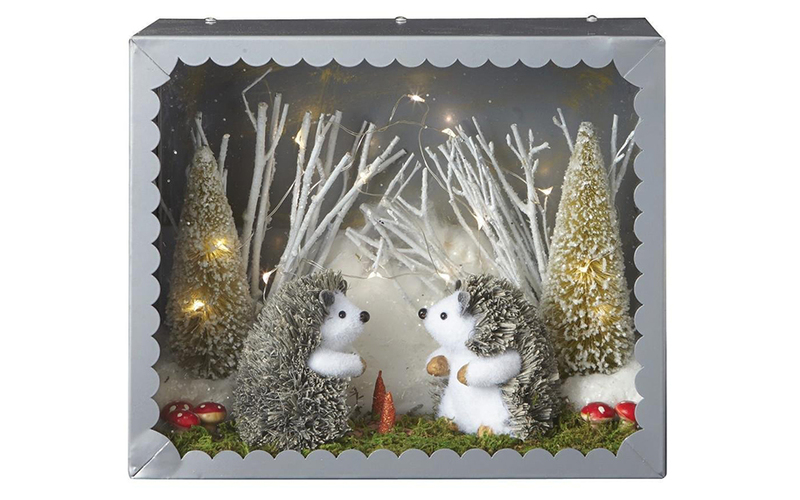 Martha’s light up hedgehog diorama is the perfect decoration for those people who need a final, crowning jewel, for their display. Listen, this tiny tuxedo for your tiny dog is objectively cute. There is no arguing with that. 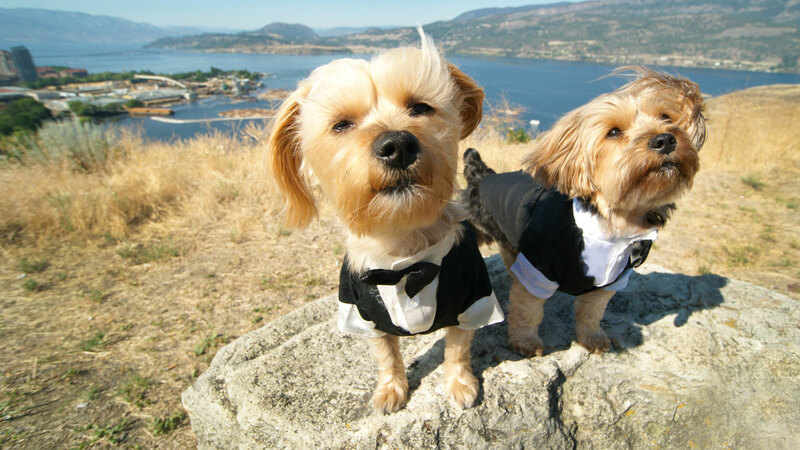 Martha should be applauded for recognizing that human clothes on animals are recipe for heart-melting adorable-ness, especially at a wedding. 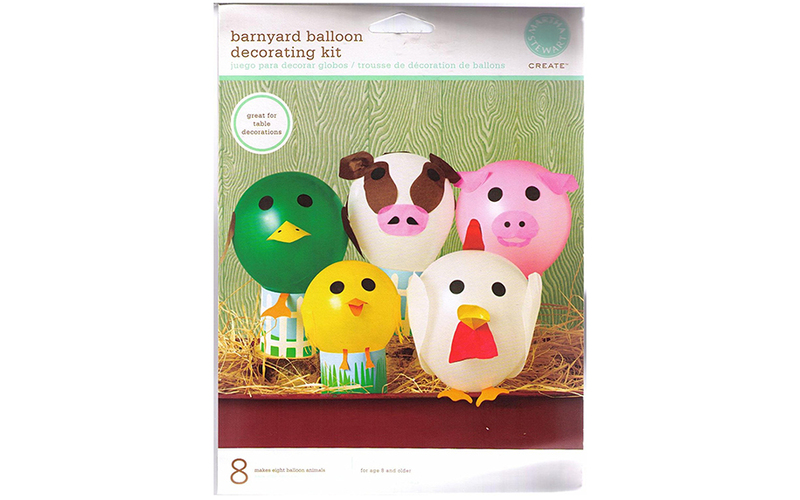 Eight blow-up farm animals come with this kit, which seems targeted at a niche market of folks who throw agriculture themed parties (Okay, maybe they might work at kid’s parties, too). These little guys are adorable! But what could their purpose possibly be? They’re supposedly ornaments, but they aren’t even in holiday colors. 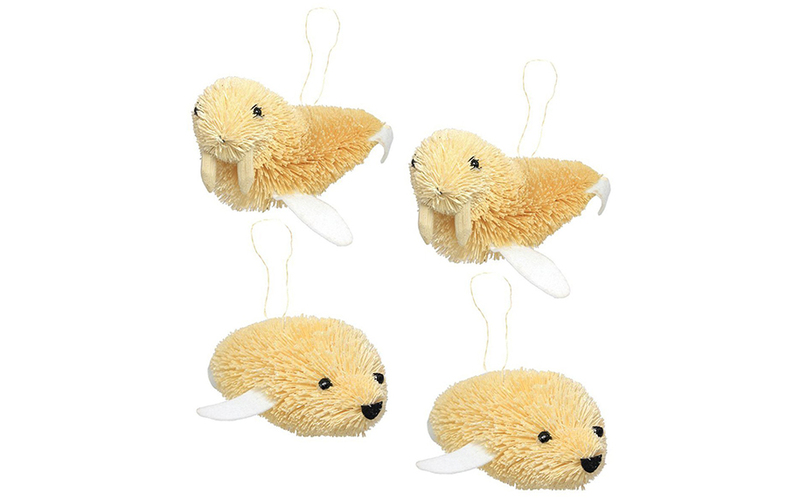 I like to imagine a family planning their Under the Sea-themed Christmas celebration, standing around the tree hanging up their aquatic animal ornaments and thanking Santa for Martha Stewart.